Affinity Health Plan hosted its first Family Fall Festival in Downing Park on Saturday, September 27, 2014 in Newburgh, NY. 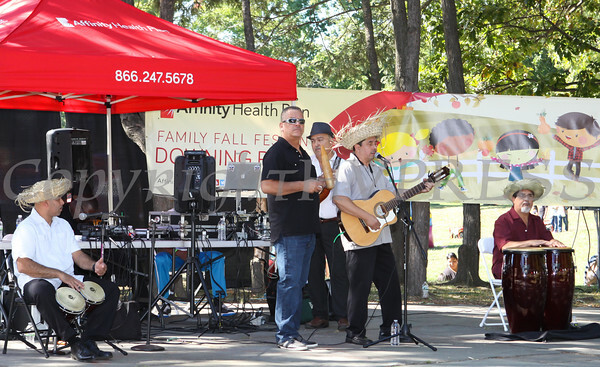 The group Los Caribenos performs during the Affinity Health Plan hosted Family Fall Festival in Downing Park on Saturday, September 27, 2014 in Newburgh, NY. Hudson Valley Press/CHUCK STEWART, JR.